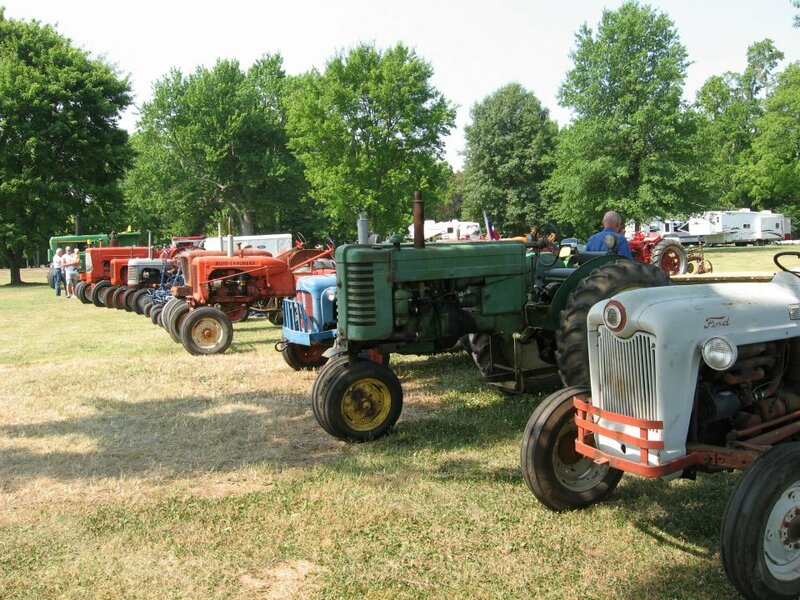 Last weekend was the Gibson County Antique Machinery Association‘s tractor show. Matt and I had a lot of fun, even if it was super hot all weekend. 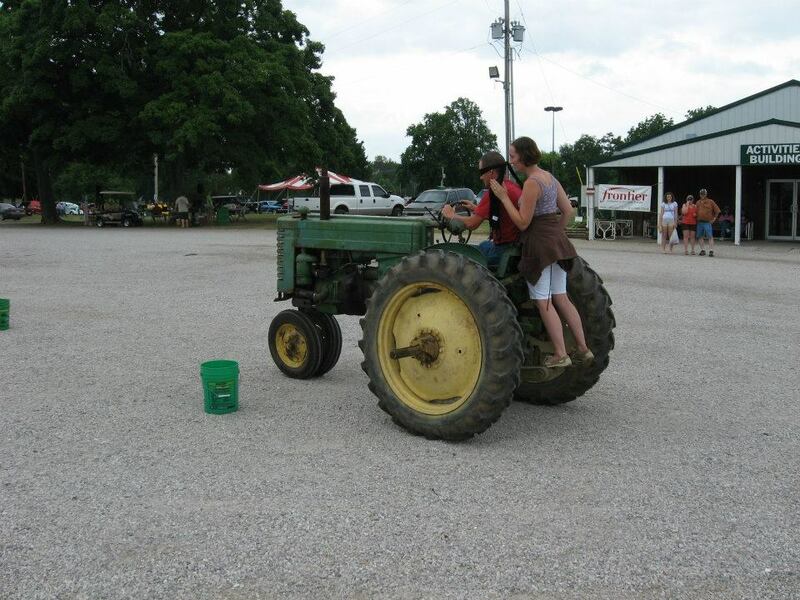 It usually rains on the weekend of the tractor show, so of course, the one year we need a good rain it doesn’t. At least the show went well. Matt and I brought in the Dexta, the MT and dad’s Jubilee. We used the Dexta and the MT in the tractor games. 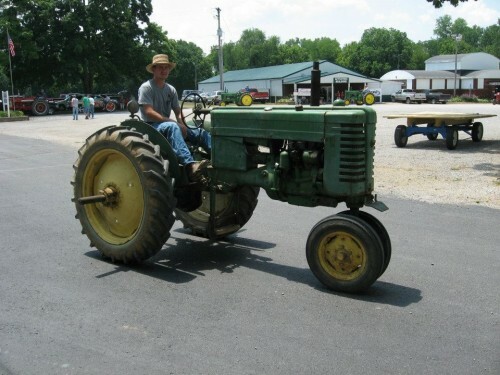 Matt won the slow race with the Dexta on Saturday and on Sunday Matt and I won the blind driver contest with the MT. We also did the “Parade of Power” both days. 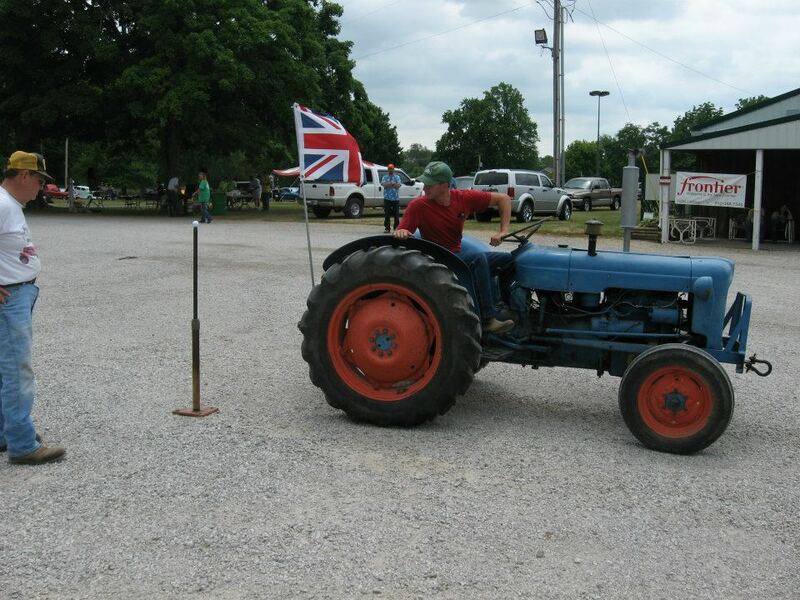 If you’ve never been to a tractor show the “Parade of Power” is basically a parade of tractors – and the announcer tells the audience about them. 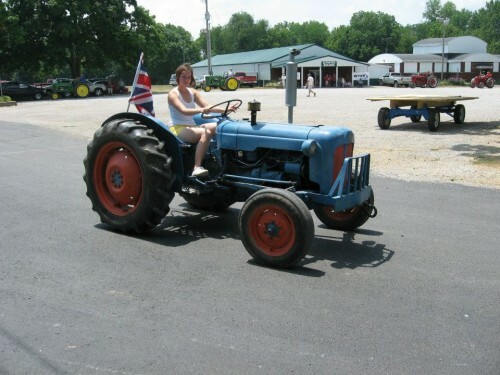 You will notice that my Fordson Dexta has a British flag on it. That is actually entirely unrelated to the Queen’s Diamond Jubilee. It’s actually because this tractor that used to belong to my grampa (he bought it new in 57) is a British Tractor. Matt bought his MT last year at the Booneville Machinery Show. He’d been looking for one for quite a while. I think the “c” ran off when you wrote about the Dexta. At first I thought you were calling Elmer a British Traitor! I’ll have to fix that right now!